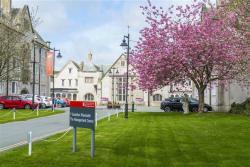 The Management Centre at Bangor University celebrates its 10th anniversary this year, having been created by the university as a £15m Celebrating The Management Centre's 10th Anniversaryproject with major EU and other external funding support. Since its launch in 2008, the centre has outperformed all its learning and jobs creation targets as set out by its European funders, and currently has a workforce of 71 staff. Read more in the Daily Post article here.